Blue Canyon Country Club’s Canyon Course was the original 18 hole layout and leaped to fame when selected as the venue for the 1994 Johnnie Walker Classic. Since then the same tournament has returned two times with Tiger Woods winning in 1998. 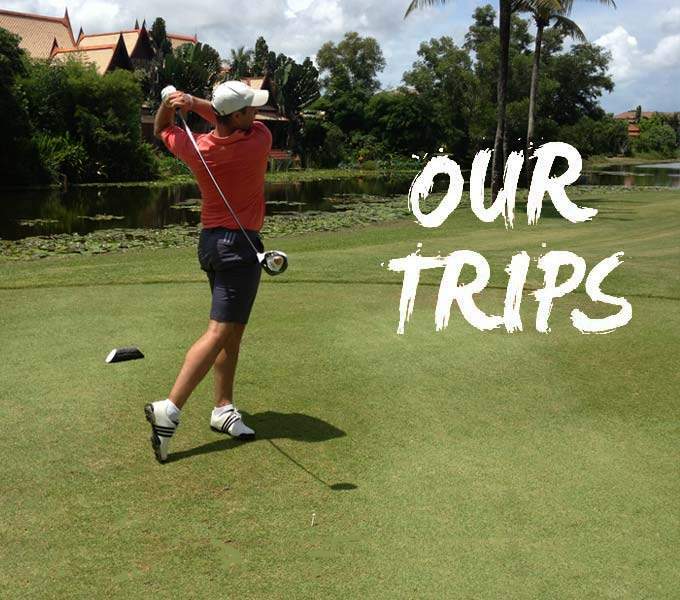 Blue Canyon recognized as a world championship golf course continually ranks as one of the best golf courses for Thailand Golf Holidays. 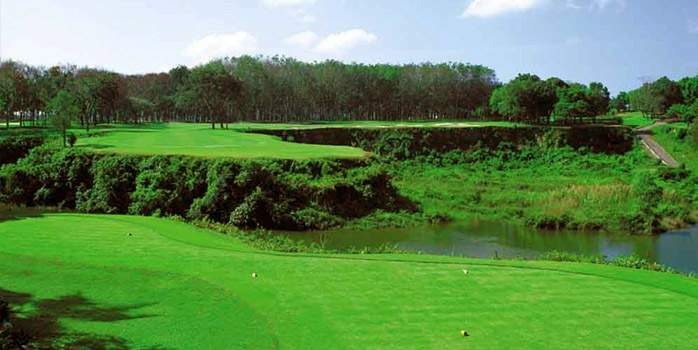 The course set in an abandoned tin mine displays old strip mine characteristics throughout the property. Streams filled with rust-colored water, canyons with sheer cliffs exposing red and white tin ore-laden rock, and tailings from former mining operations are a few of the many throwbacks to days of time gone. 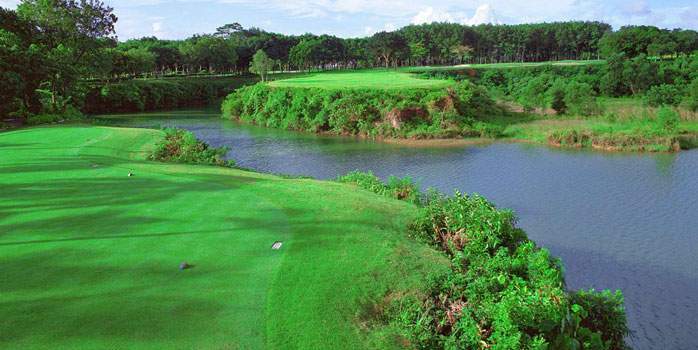 The front nine plays up and through palm-oil tree-lined fairways. 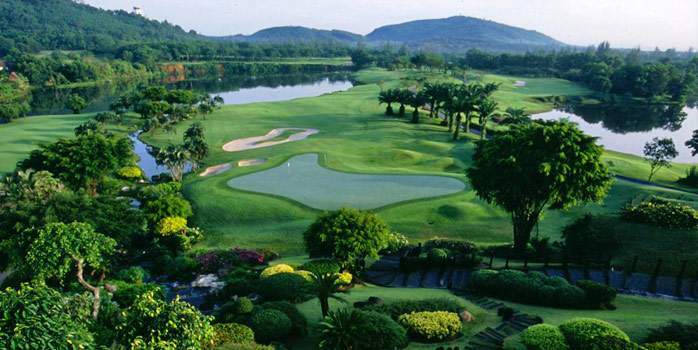 The back nine gets even better with holes 11-15 and probably the best five stretch in Thailand, if not all Asia. 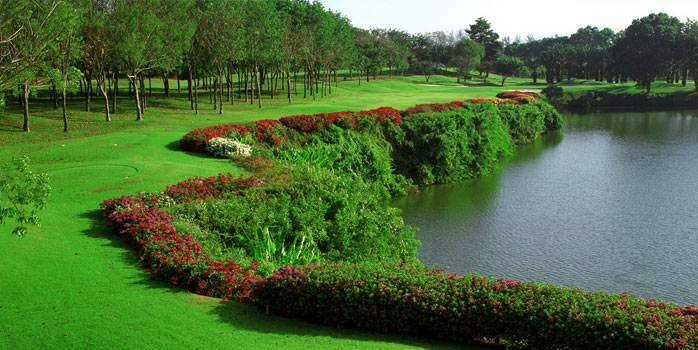 These five memorable golf holes will undoubtedly be the center of after round discussions.